Professor Patrick A. Parenteau, formerly director of Vermont Law School's Environmental Law Center and of the Environmental and Natural Resources Law Clinic, is recognized for his expertise regarding endangered species and biological diversity, water quality and wetlands, environmental policy and litigation, and climate change. The courses he currently teaches at Vermont Law School include Climate Change and the Law, Extinction and Climate Change, Water Quality and Environmental Litigation. Professor Parenteau received his BS degree in business administration from Regis College in 1969 and his JD degree from Creighton University in 1972. He served as staff counsel for the Legal Aid Society of Omaha, Nebraska, and then earned his LLM degree from George Washington University in 1975. From 1976 to 1984, he held three positions with the National Wildlife Federation in Washington, DC: counsel, director of the resources defense division, and vice president for conservation. During this period, he also served as an adjunct professor at Vermont Law School, at George Washington University, and at the Northwestern School of Law of Lewis and Clark College. From 1984 to 1987, he served as regional counsel for the United States Environmental Protection Agency, Region I, in Boston. Professor Parenteau served as commissioner of the Vermont Department of Environmental Conservation from 1987 to 1989. From 1989 to 1993 he was of counsel to the firm of Perkins Coie in Portland, Oregon. During that time he served as special counsel to the U.S. Fish and Wildlife Service in the spotted owl exemption proceedings under the Endangered Species Act. In 1993, he returned to Vermont to assume the directorship of the Environmental Law Center, a position he held through 1998. In 2003, he helped found and directed the Environmental and Natural Resources Law Clinic at VLS, where he now serves as senior counsel. Professor Parenteau has lectured on environmental issues in the Czech Republic, Cuba, Russia, China, Guatemala, and Puerto Rico. 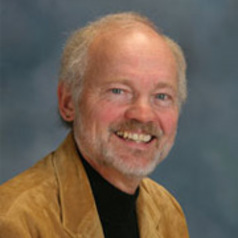 Professor Parenteau is the recipient of the 2006 National Conservation Achievement Award in the Legislative division, presented by the National Wildlife Federation.